Starting in 1991, the residential in-ground swimming pool market in the United States began a run of 14 consecutive years of growth. At the end of that push, the number of new pool installation rose from 97,000 per year to 176,000 per year. About 40% of the pools currently used in the U.S. were constructed during that period. That good run of business stopped in 2006. By 2009, the industry experienced a 70% loss in total inventory, reaching just 54,000 pools installed. Those numbers are similar to the losses suffered in the housing industry (74%). 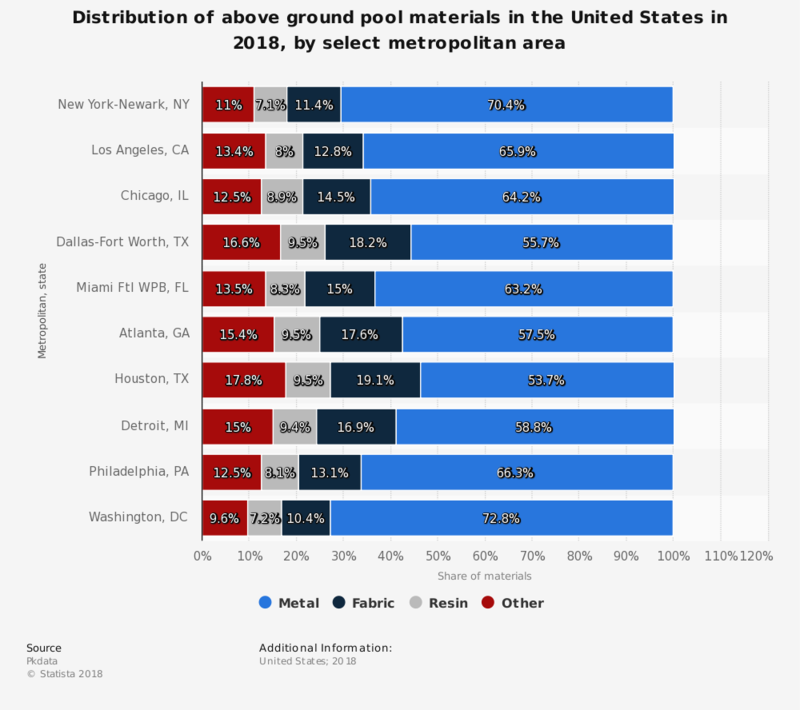 Since 60% of new pools are tied to new construction opportunities, the two markets are deeply connected to one another. Some consumers shifted to spas and hot tubs to avoid the cost of an in-ground pool. 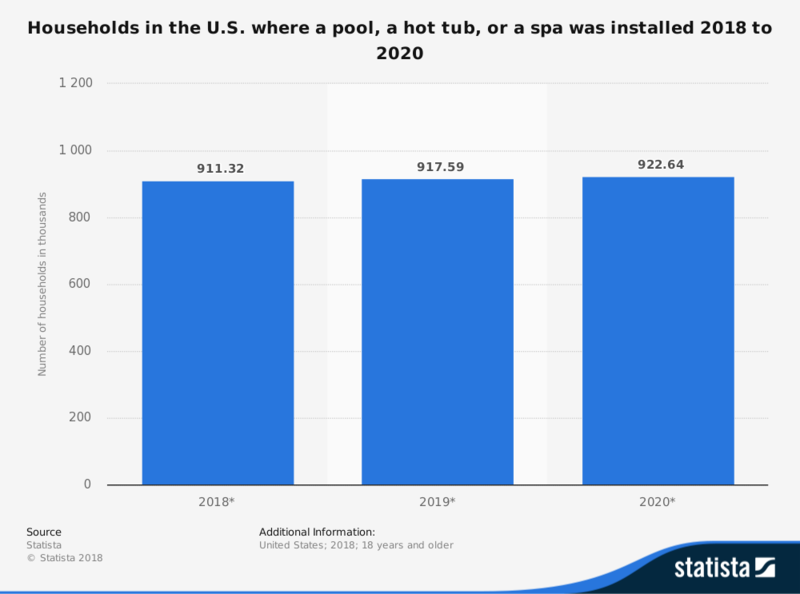 There are about 5.8 million hot tubs owned in the United States, representing about 5% of total households and 2% of individuals in the country. 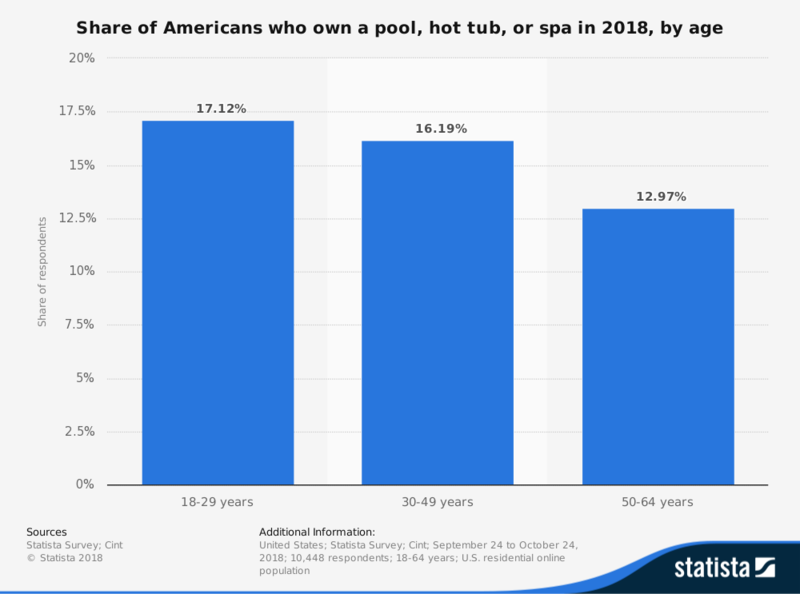 As with pools, the interest in hot tubs and spas declined after 2006, dipping below 50% levels from 2010 to 2017. With the economy finally making a surge of recovery for the Middle Class in 2018, could the pool and spa industry be poised for a rebound? The pool and spa industry currently faces several challenges that must be met in the next five years for it to continue its recent growth trends. Only 8% of people in a recent H2Insider survey said they were “very interested” in owning a spa. Another 19% of respondents said that they were “somewhat interested” in the industry. Those figures are a close match to the current ownership numbers of pools and spas in the United States right now. That indicates the unmet demand levels for the industry are very low. To stimulate growth, the industry must find ways to supplement demand within its current ownership demographics while creating more interest in their future customer segments by offering innovative and affordable products. The current average cost to install an in-ground swimming pool that is 32 feet by 16 feet in size is almost $22,000. Even a 19-foot diameter above-ground pool retails for more than $6,200. With spas priced at the same point as the above-ground swimming pools, those who are most concerned with price will likely stay away from the industry. Only when the economy can maintain its levels of strength will more customers begin to approach the idea of pool or spa ownership once again.